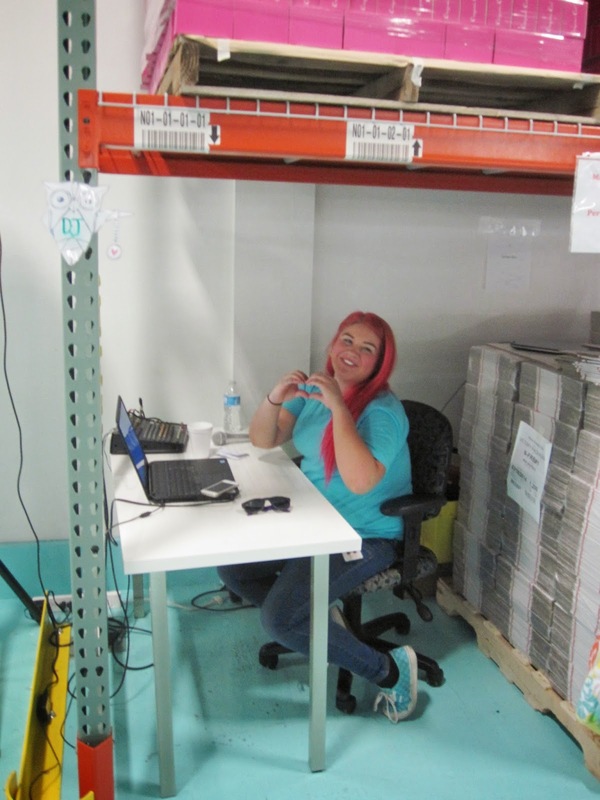 Origami Owl's company culture is like none other I've seen, and the opportunity to tour their warehouse and meet their employees only solidified my love for the company and their mission. As a business student, I was bored by most of the companies we studied. IBM and Fed Ex.... snore fest. Places like Southwest Airlines and Pike Place Fish Market were different though. They expressed a genuine interest in their employees; in their wellbeing, and happiness. They focused on fun, and that focus was returned tenfold in the productiveness of their employees. The work place was more like home than a place employees longed to get away from. I was thrilled at last year's National Convention when I learned that our then newly hired Vice President of Corporate Culture, Yvette Torres-Dickson, was pulled from the ranks of Southwest Airlines. In fact, I think I cried. Major business student geek moment right there! 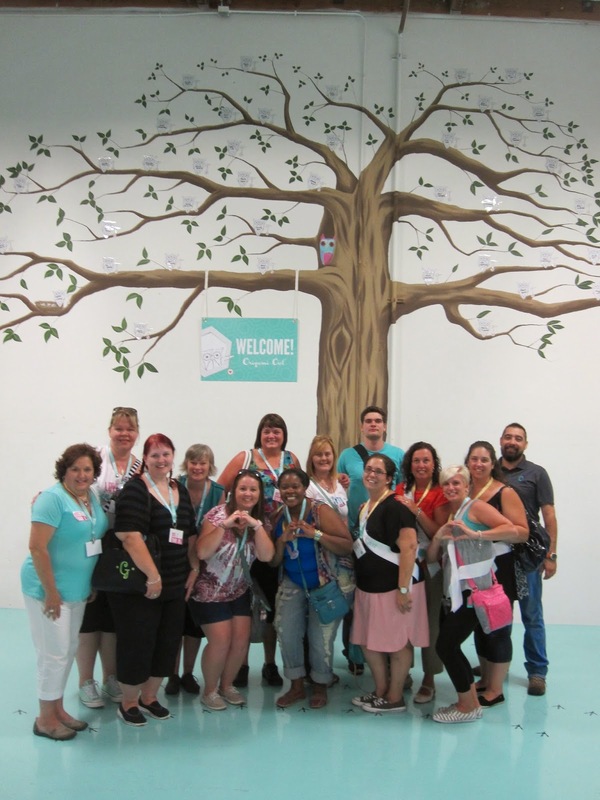 When I took the tour of our Origami Owl Warehouse last week, I was inspired by the amount of love in the building. Employees met us on the dock and formed lines on each side of our group to high five each designer as we walked in. There was a dance party. There was a LOT of hugging and smiling. These people had been giving these tours for two days straight - we were the last group - but they still managed to give us every bit as much energy as they did for the first tour. The man standing on the chair here is Shawn Maxwell, one of our company's founders. His energy is infectious.... even after two twelve hour days. This is where our third quarter hostess exclusive necklaces are assembled. The pieces are beautiful, and even more stunning in large quantities! New designer kits getting ready to ship... have you received yours yet? Joining Origami Owl is one of the best decisions I've ever made. If you'd like more information on how a small $149 investment can change your life, too, drop me an email using the sidebar link to the right. Of course there is always time for a photo op! Here's a little shout out to Team Faith and the rest of the ladies on the tour. That's me in white at far left. After our photo op, we moved through the warehouse with our tour guide. Boxes and boxes of product and packaging packed all around us. Everywhere we looked, there were employees showing the love. Genuinely happy people, enjoying their time with us and with each other. Stand on the owl prints, please! Another photo op! How do you like my mint Converse sneakers? Owlsome! One final pic with our tour guides and we're on our way. I won't bore you with all of the safety signs I took pics of (safety is a priority!) 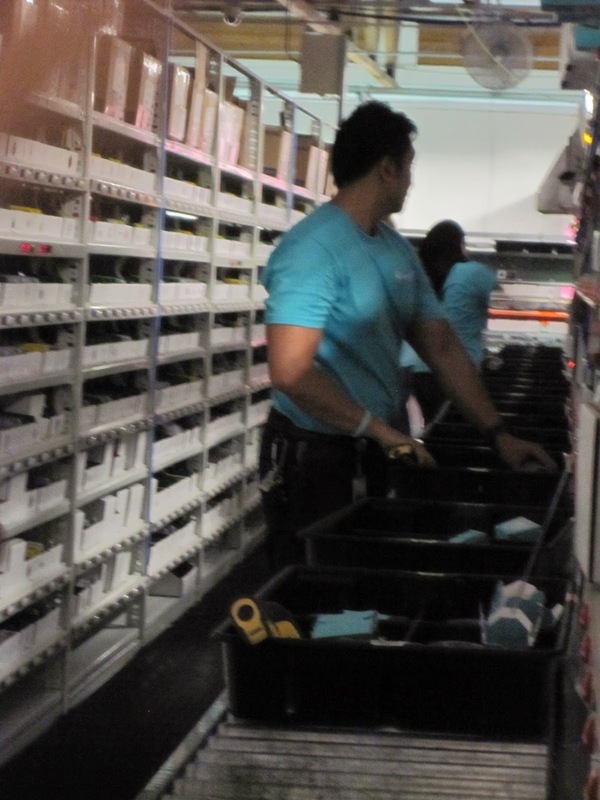 or the motivational quotes posted all over the warehouse (*swoon*) or even the FIFO sign that I snapped a pic of in another moment of business minded bliss. Suffice it to say, this girl was thoroughly impressed from both a designer standpoint and a business standpoint.